Are all of the players in the film based on real members of the 1980 U.S. Olympic hockey team? Yes. All of the players in the film, from the captain Mike Eruzione (Patrick O'Brien Demsey) to the goalie Jim Craig (Eddie Cahill), were based on actual players. The assistant coach Craig Patrick (Noah Emmerich) is a real person as well. You can see more Reel Face - Real Face photos here. Had any of the actors actually played hockey before in real life? Yes. The majority of the actors in the film who made up the 1980 Olympic team had significant prior hockey experience. This included Michael Mantenuto (Jack O'Callahan in the film), who was a theater major at the University of Maine, where he also played Division I hockey. Nathan West, who portrayed Robbie McClanahan, had played in the OHL for a season. Nathan also appeared in 2000's Bring It On with Kirsten Dunst and was a hockey playing extra in Mighty Ducks 2. Patrick O'Brien Demsey (Mike Eruzione) played college hockey for two years, and Eric Peter-Kaiser (Mark Johnson) was a drama student at Potsdam University NY where he was playing Division 3 college hockey. 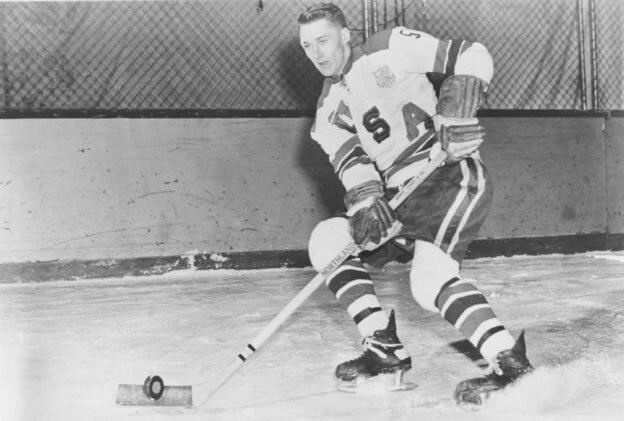 Did Herb Brooks really miss his chance to play in the Winter Olympics in 1960? How did the U.S. victory over the Russians and subsequent Olympic Gold Medal at Lake Placid in 1980 become known as the "Miracle On Ice"? What was the national reaction to the United States 1980 victory? The Miracle on Ice was a monumental victory on both an athletic and political level. The nation was looking for a distraction from world events, which included the impending threat of nuclear war, the country's hostages in Iran, and the long lines at the gas pumps. With little good in the news, Herb Brooks and his ragtag hockey team of college kids soon became the national focus. Their victory over the Soviet Union, our Cold War enemy, gave the United States a symbol of hope. It also inflicted upon the Russians a scar of defeat. The players became celebrities, and still remain national heroes. Even U.S. coach Herb Brooks enjoyed the limelight a little. 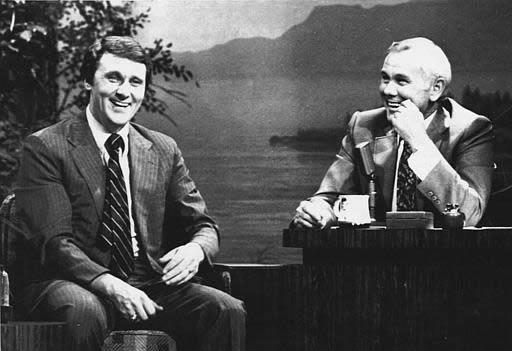 He dropped in for an unannounced appearance on the Tonight Show with Johnny Carson on February 27, 1980 (above, right - click to enlarge). Did any of the players from the 1980 U.S. Olympic team go on to play in the NHL? Yes. Sixteen of the twenty-seven players from the 1980 Olympic team went on to play in the NHL. See a list of the players and their NHL teams. Did Herb Brooks ever coach another Olympic hockey team after 1980? Did Herb Brooks ever coach in the NHL? What were the details surrounding Herb Brooks' death? Did Herb Brooks know about the Disney movie Miracle before he died? Were any other movies ever made about the Miracle on Ice? Disney's Miracle wasn't the first movie to depict the 1980 U.S. victory at Lake Placed. In 1981, the TV movie Miracle On Ice aired with actor Karl Malden portraying Herb Brooks and Steve Guttenberg as goalie Jim Craig. The movie is not currently available to buy online, but keep an eye open for it on TV. Watch the end of the real 1980 Miracle On Ice Olympic hockey game where we hear Al Michaels utter one of the most famous lines in sports history, "Do you believe in miracles!?" Also, check out video footage of Mike Eruzione scoring the game winning goal.